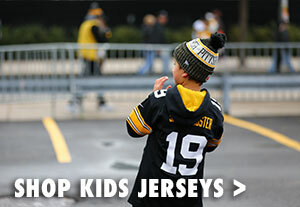 Celebrate with the iconic Terrible Towel at your next game day party! 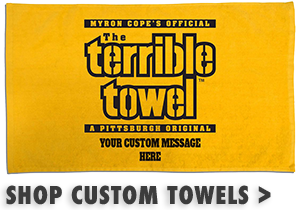 This 16 ounce pint glass holds your favorite beverage and is a nod to Steelers legend Myron Cope, who in 1975, called for fans to bring their towels to AFC Divisional Game to cheer their team to victory. 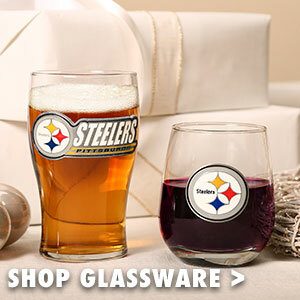 A portion of the proceeds from the sale of this glass benefits the NHS Allegheny Valley School, a private non-profit organization providing residential and therapeutic programs throughout Pennsylvania for children and adults with intellectual and developmental disabilities. 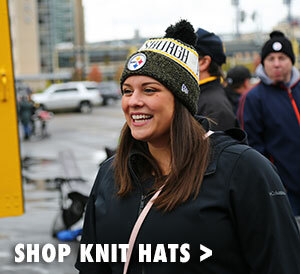 Continue in that tradition and toast your favorite team with this two-sided print Pittsburgh Steelers Terrible Towel 16 ounce pint glass.